The Parliament of Bulgaria is working on a law that would severely restrict the religious feedom of all citizens who belong to faith minorities. 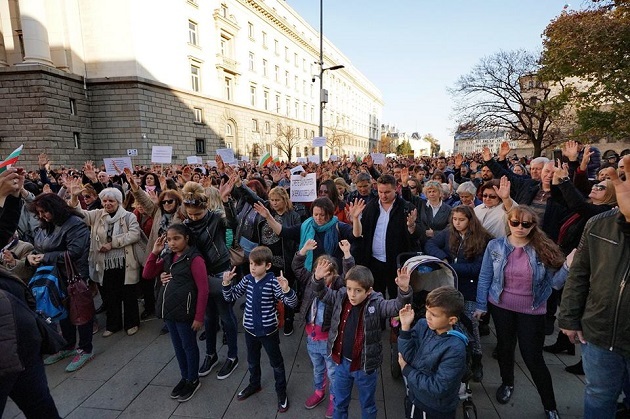 Thousands of evangelical Christians have protested against a draft law that “erroneously and unfairly claims political authority over religious life”, the Bulgarian Evangelical Alliance said. The text passed its first parliamentary reading and could be adopted soon. Read more details about the new religion law here. After failed calls to dialogue with the government, the President of the Bulgarian Evangelical Alliance, Rumen Bordjiev, sent a letter calling international organisations to react against what believers in the country say is a legislation “so flawed”, that “amendments cannot solve the problems - Instead, it should be scrapped”. The World Evangelical Alliance, the European Evangelical Alliance, the World Baptist Alliance, as well as national evangelical bodies in Europe have issued statements in support of the rights of minorities in Bulgaria and calling “the Bulgarian authorities to reconsider its draft legislation (...) [and] lead by example and strengthen the right to religious freedom rather than to weaken it”. 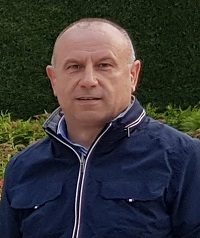 Rumen Bordjiev, President of the Bulgarian Evangelical Alliance. Pastor Rumen Bordjiev responded to questions of Evangelical Focus to further clarify the issues at stake and the situation of evangelical Christians in Bulgaria if the new religion law is passed. Question. The draft law breathes a very negative attitude towards religion. Is there any particular reason why the government are so scared of faith minorities? Answer. The official reason the Government stated was: "To reduce the risk of religious radicalism and guaranteeing the national security of the Republic of Bulgaria". Q. Have there been extremist attacks in Bulgaria that justify such a tough approach to faith minorities? A. Not really. There was one in 2012, when a bus full of Israeli tourists was attacked. 7 people were killed and 34 were injured, but this was not a direct terrorist attack towards Bulgarians. There have been no terrorist attacks or threats in the recent years. The Christians and Muslims have been living peacefully in Bulgaria for centuries. In the recent years Christian and Muslim neighbors even celebrate their festivals together, respecting each other. No cases of hatred have been registered. Q. The draft law gives a lot of power in the hands of the Religious Denominations Department. What is the role and position of this department? A. The Religious Denominations Department is an office which was "created" during the Communist regime to control the religious affairs and the people involved in the ministry. This was a part of the policy of the Communist party - to control everything and everyone, and to keep a close eye on every area of life in the country. In the past, Bulgarian evangelicals were treated as "foreign spies and traitors". Evangelical Christians were not allowed to travel abroad or to have a fellowship with foreign Christians. Unfortunately among the ordinary people evangelicals are still considered as "sects" which is an offending and insulting term they use to describe us, as the Orthodoxy is still the official religion in the country. There are even phenomena like "Orthodox atheists". They might not believe in God, but would still call themselves "Orthodox", which can be connected with the "nationalism" and "belonging". Q. The draft law requires Bulgarian based education for all priests and preachers. What training opportunities do evangelicals have at the moment? Where do evangelical preachers receive their training? What will change under the new law? A. At the moment Bulgarian evangelicals have two registered Institutes of Theological Education: the Higher Evangelical Theological Institute and the Higher Theological School "St. Trivelius". They have been giving a proper theological education, providing full time and part time studies in the past, for the needs of the Bulgarian Protestants. Unfortunately they have been only registered without being accredited. This means that the Diplomas our Graduates receive, only give them right to serve as pastors and teachers in the Evangelical churches, but that is all. They can not use those diplomas to teach Theology in schools or to apply for other governmental jobs. If the new law is accepted, all the pastors, Bible and Sunday School teachers who have graduated abroad, will be banned of ministering. The Christian Evangelical ministers who have obtained their diplomas in the Protestant schools in Bulgaria will be banned as well, as they are not accredited. They are only registered. Additionally, in order to be accepted as a student at the Orthodox Theological faculty in Bulgaria, one needs to show his Baptismal and/or Marriage Certificate, officiated by an Orthodox priest. Otherwise, he or she will not be accepted. Most of the Protestant Christians would not be able to that, as they only have such certificates issued by Evangelical churches and pastors. Q. Are evangelical denominations very reliant on foreign support? Are there particular reasons why the evangelical community in Bulgaria is dependent on foreign funding? A. Again, this question is connected with the past. Most of the Protestant Churches are connected and have partnerships with Evangelicals all over Europe and the USA. During the early years of changes, after the Communist regime fell, the country of Bulgaria was in an awful situation: no Bibles or Christian literature, empty shops and poor people, orphanages in terrible conditions. When the Berlin Wall fell, the links with Western Christians were founded and our brothers and sisters were so helpful in supplying our needs in all those areas. These days some of the big churches in Bulgaria can fully supply all their needs. There are small churches, though, which still need support, especially the Roma (Gypsy) churches. There are established connections with Western Churches which help Bulgarian orphans or Roma people. So, if the new Law is accepted, this would mean that lots of Christian Foundations established by foreign Missions would be closed. Q. The two major religions meeting the 1% percent threshold will receive government funding for salaries, and maintenance of their buildings and cemeteries. Why this decision of the government? What happens to the other denominations? A. This is the main paradox. No one of the Evangelical denominations has ever expected governmental funding or salaries and no one of the Protestant leaders has ever pleaded for money. The paradox is coming from the fact, that the government claims that it cares about the Islamist terrorists and their attacks, but at the same time it is ready to fund the Bulgarian Muslims and their schools and buildings, because they are more than 1%. This is very difficult to understand. Q. The law restricts religious meetings to dedicated buildings. Would this include small group meetings outside the church building? Under the new law, will it still be possible to come together in private homes for prayer, bible study, discussion? Are all activities outdoors banned? A. Yes, obviously it means exactly that. There are thousand of home churches in Bulgaria at the moment, especially in the Roma ghettoes. Those are the buildings (houses) where the real integration takes place. For decades, the Bulgarian government has tried every possible mechanism to integrate those people with no success. Only the power of God and the Word of the living Christ were able to change that. Those non-registered Church Roma buildings are special. There you could find and meet former alcoholics, drug addicts, violent men and women who have become fervent followers of Christ. They are completely changed. They are hard working citizens now, who send their children to school and live an exemplary life. They start to learn to read and write now, no matter there are in their thirties, because they love the Bible and they want to read it on their own. If their home churches were closed because of the new law, what will happen to them? And yes, all the outdoors activities would be banned. The situation will become much worse than we remember it in the Communist time, which is unspeakable. Q. Will the international support you have received from organisations like the WEA, EEA and the Baptist World Alliance help? A. It is too early to say. We are very grateful for every support, indeed. We highly appreciate all the letters you sent to our government officials. We pray that they will consider them carefully. The sad thing is, that after the Peaceful Prayerful march of freedom we had on Sunday (11th of November), when thousands of Protestants and Catholics marched together side by side, not one of the National TV stations paid attention or took an interview. The media was silent. We keep praying and hoping that our Lord is the Same, yesterday, today and forever. The testimonies of faith of our brothers and sisters who suffered before us are still strong in our memories. Our faith is strengthened by the fact that the promises of our God stay! He is faithful and we do not have a single reason to doubt His power and faithfulness. The very fact that you are asking us for this interview is a living proof that our Heavenly Father cares for us, His children in Bulgaria through your interest in us, because we are One in Him.